TOPICS: Changes for 2017 | Tickets, shmickets! | Volunteer Appreciation Tickets | Key Dates Update | Submit your Art Grants Soon! 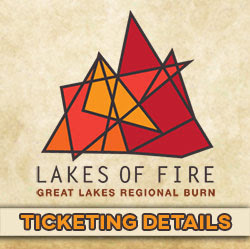 In our perpetual search for A Better Way, Lakes of Fire’s Ticket program has changed for 2017. This year’s updated system allows families and groups to join together in a “do or die” allotment. Everyone buys an individual ticket, but by grouping together, you know that the people who you wouldn’t attend Lakes without will be in line right next to you. As a consequence, registrants will no longer be able to assign tickets to two additional registrants at the time of purchase. Ticket Population Increase – We are growing by 10% this year, up to a total population of 2,200 attendees! One ticket per person – When you are selected in the drawing, you will only be able to purchase one ticket for yourself. Group registration – Families, theme camps and any other groups of 10 or less can register in the ticketing system together. If that group is selected in the drawing, they will be placed in line together. The individuals will have to purchase their own tickets within the purchase window. Tickets sold faster – The new system allows almost all of the tickets to be made available immediately, in the initial registration window. This should give attendees more time to prepare for Lakes. There will still be a wait list, but it will be much smaller. Revised Service Animal policy – No animals, regardless of accreditation, will be allowed entry into the Lakes of Fire event. By purchasing a ticket to this event, the ticket holder agrees to and accepts this event’s policies and guidelines. Please see the policy page for details. You must register to get a ticket, even if you have registered in previous years or are purchasing a ticket under last year’s Volunteer program. Wednesday, February 15th, 2017 at 9 a.m. – Registration for the ticketing system opens and volunteer sales begin. Wednesday, March 1st, 2017 – Registration closes for up to 48 hours to prepare for the drawing. Ticket sales for qualifying volunteers close at 11:59 p.m.
Saturday, March 4th, 2017 – Randomized drawing happens, notifying participants. The purchase window is one week long. Registration re-opens after drawing and remains open until the week before Lakes of Fire. Participants who register after re-opening will be added to the bottom of the waiting list. Friday, June 2nd, 2017 – Final day of regular ticket sales. Saturday, June 3rd, 2017 – Fire sale if needed. 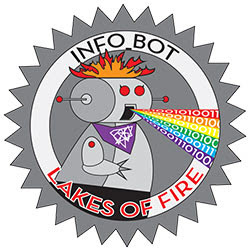 Lakes of Fire is a volunteer-run event. Without you putting in your hours all across Lucky Lake, Lakes of Fire would not exist. We can’t thank you enough for your service! Volunteers who have qualified for access to a ticket will receive their Volunteer code in an email as early as Wednesday, February 8. It will take multiple days to reach everyone – please be patient. If you haven’t received yours by Saturday morning, please fill out this form to receive help. Volunteer ticket sales start on February 15th, 2017 at 9 a.m. EST and end Wednesday, March 1st at 11:59 p.m.EST. You will need to register to complete the transaction. Here is our brand spanking new Key Dates and Forms, updated for 2017! Feb 8 – Ticketing team emails to qualifying volunteers. Feb 15 – Registration for the ticketing system opens and sales begin for qualified Volunteers. Feb 15 – Volunteer Sign-up form opens. Feb 18 – 11:59pm EST: Art Grant submissions close. March 1 – Registration closes for 48 hours to prepare for the drawing & Ticket sales for qualifying volunteers close at 11:59 p.m.
March 4 – Randomized drawing happens notifying participants. The purchase window is one week long & Registration re-opens after drawing and remains open until the week of Lakes of Fire. Participants who register after this date will be added to the bottom of the waiting list. June 2 – Final day of regular ticket sales. Submit Your Art Grants Soon! This year, we have more Art Grants available than ever, with $30,000 in potential grant money available! We are hoping to see some amazing at the Lake this June! Don’t forget that Art Grants submissions close soon – 2/18/17 at 1:00am EST in fact. Get crackin’! Everything you need to apply for your grant can be found on the Art Grant Department page.